5 Tips on Choosing a Coach that is right for you! 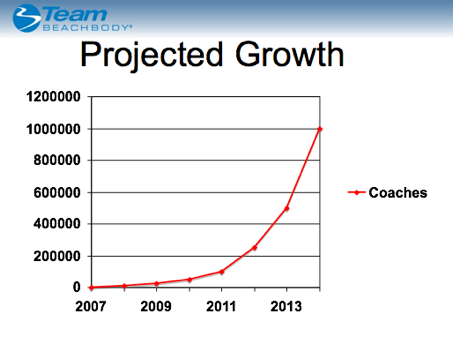 Beachbody is growing, and it is growing fast! Every where you look there is a new coach in your newsfeed. This is an amazing because it means that people are deciding to get healthy and fit, and taking that next step to help others get healthy and fit as well. There is not a shortage of coaches out there to choose from when you decide to take the plunge. The programs, and the nutrition are a huge part of your journey, but I 100% believe that it is those two things PLUS your coach that will get you to your goal. Today I wanted to talk about WHY it is important to put some thought into who you choose as a coach, and offer some things to consider when making that choice. 1.) Do you like that person as a human being? This may seem a little basic, but it's true! Going through a coach is going to help you be more successful in your program, but you have to make sure you actually like that person as a human being first. If you go through a coach who you don't like as a person, it is going to be extremely difficult to reach out to them when you need them. If I didn't like my coach, there is no way I would be where I am today. 2.) Does this person have a track record of successfully helping others? When seeking a new restaurant you are most likely going to check out the reviews first right? Or maybe it was a suggestion from a friend? Every now and then we gamble and pull over and gamble on a hole in the wall hoping for the best, but that is not necessarily a move I want to make when it comes to my health and fitness goals. Do some research, check out their facebook page and blog. What do their posts look like? Does it seem like they are in this because they are passionate about helping people? Want to help others reach their goals? or does it seem like they are just trying to make a sale and want your money? What does their blog look like? Are there posts you can relate to? How about their like page, are their reviews that you can check out? Check out their credentials any way you can, and that may even just be a simple conversation just getting a feel for who they are. You can usually tell if you want to work with someone within the first ten minutes of speaking with them, so this shouldn't be hard. Sometimes newer coaches won't have a track record yet, but you can tell the kind of person they are by a simple conversation. 3.) Can you relate to this person? Each coach out there has a different niche that makes them unique. Some people are single moms, some struggled with depression and anxiety, military wives, stay at home dads...there are TONS of different WHYs out there. Their why might be something that you can really relate to which can be useful when it comes to finding the motivation to reach your goal! 4.) Are they a product of the product? You probably wouldn't join a quit smoking support group that was filled with butts, and had a leader who chain smoked like the were auditioning to be the Marlboro man right? Well the same thing should go for a health and fitness coach. Are they proving that they practice what they preach? Are they doing the programs, and doing what they ask of their challengers? This is an important factor because if your coach isn't motivated, there is a good chance that you won't be either. You can get a good idea of this by checking out their facebook page. What do their posts look like? Are they someone who motivates you and leads by example? 5.) Do they have the experience you are looking for? If becoming a coach seems like something that might interest you down the line, joining a team that has a lot of support would be very beneficial. You could ask them questions about the training they offer new coaches, and how they work with people who join their team. You do NOT want to be stuck joining a team that has zero support when it comes to coach training. Although it is totally doable to make it on your own because this is about you, and the company offers various training programs, it is very helpful to have someone guiding you through the process. The good thing is that 99% of the coaches I know are extremely passionate about their job, and take it very seriously. I just want you all to have the tools to make an educated decision when it comes to choosing a coach. There is nothing worse than wanting to reach a goal, expecting to get help from a coach through the process, and then not receiving the help you were hoping for. This company provides the full package, the program, the nutrition, and the guidance to get you through! Embrace that, and congrats on making the decision to get healthy! You can do this!